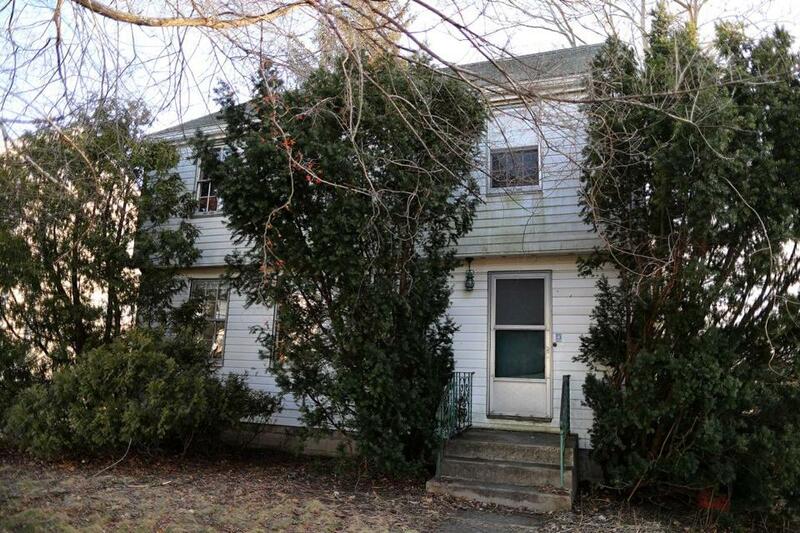 Joe Lentino can’t capture the value of his house until he sells it. MEDFORD — The trouble began after Joe Lentino took a reverse mortgage in 2007 to get out from under his debt. Then he lost some gigs playing in jazz bands. And he started missing tax payments on the modest white house where he’s lived for about 70 years. 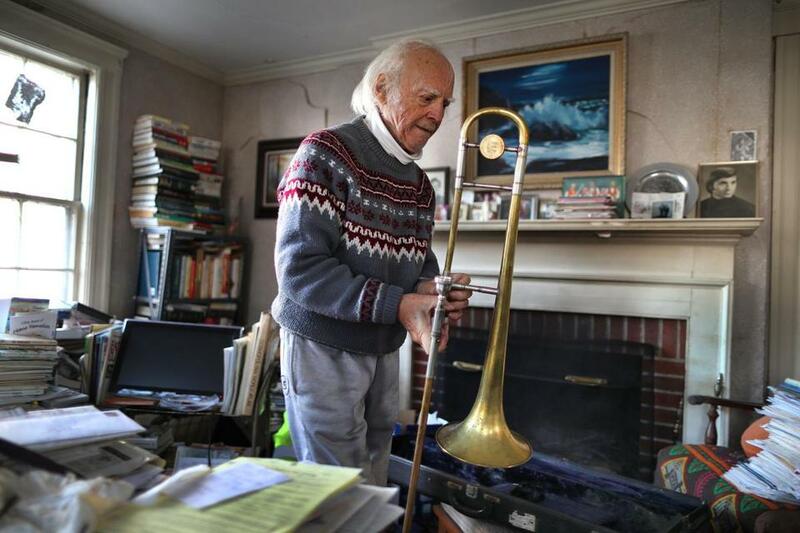 Now, the 80-year-old trombonist is embroiled in a legal nightmare, scrambling to get into senior housing before a Texas firm can foreclose on his mortgage. While his story is unique, it illustrates the struggles older residents of limited means face in Greater Boston, where local property taxes have escalated steadily in many communities. Seniors on fixed incomes often can’t afford to pay them without tapping the equity in their homes — and that’s not always as straightforward a solution as it seems. One option for relief is a tax deferral program offered by many Massachusetts cities and towns as an alternative to reverse mortgages. The program, which lets cash-strapped homeowners over 65 postpone paying taxes until after their houses are sold, is key to a bankruptcy plan Lentino’s legal-aid attorney filed in a Boston court. The plan would let the musician use funds freed up by the tax deferral to pay back money he owes the reverse mortgage company over the next five years. He could then stay in his home until an apartment opens up. But the mortgage holder, Mortgage Assets Management of Austin, Texas, refuses to sign off on Lentino’s tax-deferral request. It purchased Lentino’s loan in 2017 from the original lender, Financial Freedom, which had paid more than $40,000 in back taxes and insurance Lentino owed to protect its financial interest in the property. The current mortgage holder now wants that money back. Lentino, who has piercing dark eyes and thinning white hair, gets by on Social Security and a small musicians’ union pension. Medford sends him tax bills totaling nearly $5,500 a year, more than half his Social Security income. His home value has also surged. It’s assessed at $556,900, exceeding the more than $350,000 owed to the lender for the reverse mortgage and back taxes. But he can’t capture that value until he sells the house. A federal bankruptcy judge last month ruled that the mortgage company can’t foreclose on Lentino’s loan immediately. A foreclosure could have forced a fire sale and led to his eviction before he has a place to go. But the case — and the fate of the home — remains unresolved. Representatives at the mortgage firm won’t discuss the specifics of his case. But at a recent court hearing, its attorney, Joseph Dolben, said the company doesn’t let borrowers participate in tax deferral programs in which cities charge interest — Medford charges 8 percent annually — because the federal agency that insures reverse loans won’t reimburse mortgage companies for interest owed on tax deferrals. That means the lender would be on the hook for that money if the government eventually took over the mortgage. The firm’s position “does not make any sense and is heartless,” said Lentino’s lawyer, Todd Kaplan of Greater Boston Legal Services. Lentino’s house, he argued, is worth far more than the lender is owed, and lender’s debt is protected under the state law creating the tax deferral program, so the company is guaranteed to be repaid when the house is sold. Lentino bought the house from his mother’s estate in 1998. A reverse mortgage got him into trouble. Leaving his home with dignity is more than a legal matter for Lentino. The two-story garrison house on Roberts Road in West Medford has a lifetime of memories. Lentino was 10 years old when his parents bought the house in 1948, and except for his years of touring with bands, he’s lived there ever since. His father was a state government employee, and his mother a court stenographer who transcribed testimony at the famous Sacco and Vanzetti trial in 1920. She encouraged him to play a musical instrument, taking him to a high school band concert when he was a child. “I was mesmerized by the trombone,” he recalled. He played throughout his school years in Medford and college at Boston University. During summer breaks, he toured with the Glenn Miller Orchestra. That began a long musical career during which he played with the Village Stompers, a Dixieland jazz group, and had his own five-piece band, Joe Lentino and the Good Timers, which played rock and swing for years at the old K-K-K-Katy’s club in Kenmore Square. On a visit to a New York music store when he was 20, he bought a used slide trombone he plays to this day. After his parents died, Lentino, an only child, bought the Medford home from his mother’s estate in 1998. To acquire the deed, he took a mortgage to pay family debts. When bookings ebbed and money got tighter, he paid off his initial mortgage by obtaining the reverse mortgage. Under reverse mortgages, homeowners borrow money against their home equity, paying an upfront fee but making no monthly payments. The lender is repaid in a lump sum when the home is sold. Lentino now lives by himself in the white house with aluminum siding, but his financial situation is worsening. An upstairs tenant who had shared the house with him for many years recently moved out. And a music gig at New Hampshire’s Canobie Lake Park ended. Almost all the friends and neighbors Lentino had growing up are no longer around. He has a friend in the Medford senior housing complex he hopes to move into. Last he checked, Lentino said, he was number 11 on the waiting list at Medford senior housing. He hopes to sell most of his possessions and move into a one-room apartment there by the end of the year. Then, he said, he’ll put his house up for sale — unless the lender succeeds in foreclosing on his mortgage and evicting him sooner. He knows he’ll soon be leaving his house one way or another. And he’s resigned to it. “I just feel like what will be will be,” he said.